Daniel A. 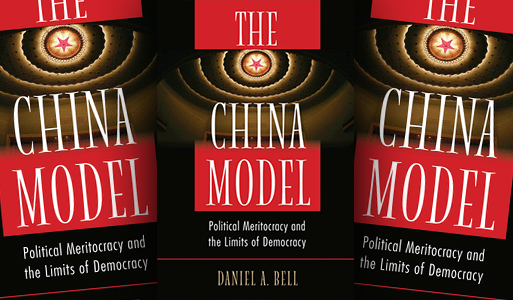 Bell, The China Model: Political Meritocracy and the Limits of Democracy. Princeton, NJ: Princeton University Press, 2015. 318 pages. The image of China in Western eyes is oddly bipolar. On the one hand, China is seen as an astonishing economic success and a credible threat to overcome the United States as the world’s leading economic superpower. On the other hand, it is viewed as a one-party dictatorship and serial human-rights abuser, the antithesis of liberal democracy. In its first, positive, iteration, China is an admired (and feared) competitor due respect and perhaps even emulation. Its second face is entirely negative, conjuring Tiananmen repressions past and future and a backward-looking tyranny bound to collapse, sooner or later, before the inevitable triumph of Western-style democracy. Few have paused to consider the problem of how these two faces can be reconciled. How could such an apparently dysfunctional political system produce such spectacular economic results? Even fewer ponder the implications of the rising tide of despair over Western democratic decay alongside the faltering economic performance of capitalist economies when set against a Chinese model that is catching up fast. Something does not quite compute. To the enthusiasts of neoliberal capitalism, the moral of the Chinese story is pretty straightforward. China’s economic progress is the result of its ditching Communism and liberating private markets. Its backward political system is a remnant of Communist autocracy which will ultimately be swept away by Adam Smith’s Invisible Hand. To The Economist, for example, every indication of momentary setbacks or stumbles in the Chinese economy can be resolved by downsizing or eliminating all those state-owned enterprises that still persist and further “liberalizing” capital and labour markets. While such advice may be valid from time to time, in the bigger picture this represents a fundamental misreading of the specificity of the Chinese economic model. China has not risen to its present global economic eminence simply by dint of opening up everything to free markets, although that is an important component of its success. Its private sector has always been guided and directed by a strong state hand, by a bureaucracy that has shown remarkable skill and resilience in shaping rapid development. There is no reason to expect that it will suddenly abandon this proven way of doing things to apply abstract free-market theory. But there is more involved here than economic models. The strong, relatively effective state role, integral to China’s economic success, is itself tied closely to that very autocratic political system that Western observers almost unanimously denigrate. Perhaps it would be more prudent of Western critics to examine and assess the intimate connections between the political and economic spheres in China instead of simply dismissing Chinese structures of governance as illiberal and undemocratic. This advice is especially pressing when we consider the deteriorating capacity of Western state structures to cope with global challenges: not just economic competition, but such macro-problems as climate change and environmental management. The West, or at least the United States, has been so filled with false self-confidence that it has exported its model of democracy at the point of a gun, as in Iraq and Afghanistan. This has, to put it mildly, not gone well. Now a rising China is being depicted as a military threat as it looks to export its model to other Asian countries and perhaps beyond. Clearly, looking at the Other strictly through the eyes of one’s own model, beyond being of limited analytical value, could become downright dangerous in practice if mutual incomprehension leads to confrontation and conflict. Daniel A. Bell is a Canadian academic who has spent the past decade teaching in Beijing. He has previously written about a phenomenon to which few Western scholars have paid much attention: Confucian philosophy as a practical guide to governance and public policymaking. His new book, The China Model, offers an approach to comparative assessment of Chinese versus Western models that will strike many Western readers as unfamiliar and unsettling. Bell challenges some assumptions sunk deep into Western thinking and casts the Chinese experience in a novel light. No simplistic apologist for the Beijing consensus, Bell nonetheless is sympathetic to much of what the Chinese leadership is attempting to achieve and sharply critical of much of what Westerners take for granted as self-evident. He quickly dispatches one common misconception. Communism as an activating ideology is dead in today’s China, despite the strangely persistent half-life of Maoist iconography and ritual invocations of “Marxism-Leninism” as legitimating rhetoric. Bell looks instead to something much older, and much deeper, in Chinese culture. Mao’s burial is only four decades past, but the two-and-a-half-millennia-old teaching of Confucius looms large over present-day China. Bell cites this Chinese tradition of “meritocracy” as highly relevant to China’s present-day success. Where Western eyes see the heavy hand of “bureaucracy” stifling economic and political liberty, Chinese eyes see a process designed to produce competent, skilled leaders and administrators who can deliver effective government. Bell cites one extraordinary accomplishment of this system. The World Bank estimates that the proportion of Chinese under the poverty line was reduced from 85 to 15 per cent between 1981 and 2005 – “perhaps the single most impressive poverty alleviation achievement in human history.” This achievement was partly the result of freeing markets, but it was also the result of a concerted, coordinated plan directed by a relatively efficient state. Western observers may acknowledge, albeit grudgingly, China’s extraordinary achievements. But Bell takes his argument a step further, one sure to rouse strenuous objections. He asserts that meritocracy is actually at odds with democracy. One-person-one-vote is a system designed to produce the very opposite of meritocracy: call it instead a mediocracy. Bell goes through a long list of ways in which free competitive electoral systems fail to produce competent, skilled leaders, and the reasons for this consistent failure. Tellingly, he points to the fixation of democratic politicians on the immediate self-interested demands of voters and their corresponding indifference to the interests of nonvoters: future generations and the planet. The voting fetish is the very heart of democracy, which in the contemporary world has become an unassailable synonym for the good and true in politics. Many democrats will react in disbelief at Bell’s temerity in even calling the efficacy of competitive party politics into question. It is now widely accepted that, even as we continue to commend democratic voting as a magic bullet for troubled countries from the Middle East to Africa to Asia, Western liberal democracies are seizing up in gridlock, coping with failing popular legitimacy, becoming divided into intolerant ideological camps exercising mutual vetoes, and generating electoral success for ranting comedians like Beppe Grillo in Italy or rich egomaniacs like Donald Trump in the United States. Nonetheless, many readers will find Bell’s critique of democracy strange and difficult to absorb. Westerners have trouble thinking outside the box of their system. For every obvious problem that crops up in actually existing democracies, the answer is always the same: yet more democracy, more direct democracy, more populist democracy. To which Bell has a four-word rejoinder: Sarah Palin, Rob Ford. Perhaps the best way to get out of a hole is not to dig deeper? 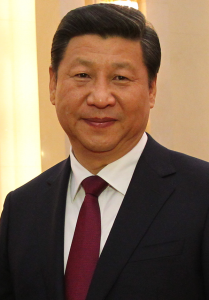 However sharp and well-honed Bell’s critique of one-person-one-vote democracy, and however many Westerners might reluctantly agree with him on democracy’s manifest drawbacks, fewer will choose to follow him in his exposition of the advantages of Chinese-style meritocracy rooted in one-party authoritarianism. Bell is careful and cautious, and does not flinch from pointing out the problems and defects in the actually existing Chinese meritocracy. And he is always conscious, from his own Western upbringing, of the inevitable objections that will always arise to Chinese practices that appear alien and even bizarre to Western eyes. But he is insistent that the Chinese model must be taken seriously, even if its cultural particularity probably dooms it as a blueprint to be applied in places with different histories and cultural values. We can still learn from it, even if we are disinclined to follow it. Bell sees a three-level governance system taking shape in China. There is a democratic element at the local level, with popular participation in choosing local village councils that increasingly share decision-making with appointed party officials. This partial local autonomy provides a kind of systemic safety-valve as well as an institutionalized conduit of local opinion upward. At the intermediate, regional level, Bell sees scope for experimentation in public policy: new ideas can be tried out and if successful, spread more widely. It is at the top level that Bell sees the meritocratic principle enshrined most clearly. Senior administrators have risen through a system that has repeatedly tested their abilities, from entrance examinations through assessments of their effectiveness as they work through the various levels of administration. The same process of regular testing and retesting has also been applied, Bell suggests, to the political leadership via the Communist Party hierarchy. Here is where the Chinese system differs most dramatically from democratic practices. Leadership positions in the West are filled by popular vote, and people are selected often without reference to experience or track record in running anything, let alone an entire country. Whatever one thinks of the policies of Xi Jinping and the current top leadership, there is no doubt that they have years of experience under their belts, and have been selected on the basis of abilities and qualities requisite for the jobs they are undertaking. And there is now institutionalized turnover and an orderly succession process in place to maintain the meritocratic principle from being undermined by self-serving private ambition. Assessing the weaknesses, along with the strengths, of this model, Fukuyama points to what he sees as two significant missing dimensions: institutionalized mechanisms of accountability and the rule of law. On accountability, Bell can counter that such mechanisms do in fact exist in China, even if they differ from equivalent mechanisms in democracies. From local demonstrations to the always flourishing blogosphere, improvisational forms of accountability are felt by the party at the top as well as at lower levels. In the Chinese tradition, political dynasties eventually “lose the mandate of heaven” and are replaced. If the tacit social contract between government and people (monopoly political power in exchange for steady economic growth) is broken by serious, prolonged economic failure, Communist Party rule will fail. We are very far from such an eventuality, but such a mechanism of broad accountability does exist. Besides, accountability in liberal democracies is strong at the level of rhetoric, but weak in practice. 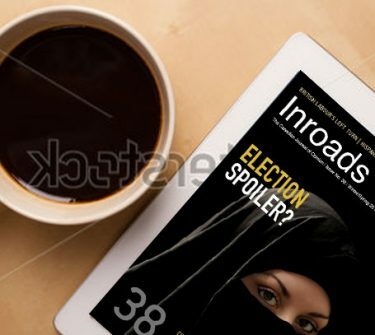 As critics such as political scientist Donald Savoie2 have been arguing for some time now, the connection between electoral accountability and the accountability of government, which has been deteriorating alarmingly, is problematic. The rule of law is another, more serious, qualification of the Chinese model. This has always been a missing element in China. Even as China pioneered a strong, relatively meritocratic state at a time when Europe was in the dark ages of feudalism, it never developed the concept of holding secular rulers subject to law in the same way as the ruled. In the struggle between church and state in the West, notions of a natural law standing above secular law served to limit the power of rulers. Even as the transcendent religious basis of this idea receded and secularism succeeded, the idea itself survived. In China, where millennia of dynastic imperial rule have been followed by a one-party state, there has always been rule by law, but not of law. This has very specific implications for checks – or lack thereof – on the behaviour of rulers enjoying a monopoly of power. The old adage that power corrupts is not a culturally delimited truth. Corruption in the form of Communist Party officials abusing their offices to appropriate wealth for themselves and their families is a notorious fact about China today and a widely shared cause for popular anger and resentment directed at the party hierarchy. It is also a serious concern for the health of the meritocratic principle, which can hardly survive subversion of the public good for private enrichment by political and administrative leaders. Corruption is obviously not absent in democracies – indeed it seems an enduring feature of democratic governance – but elections can be turned into exercises in “throwing the bums out.” In China, throwing the bums out of office is a more difficult process. President Xi Jinping, cognizant of the gravity of the problem, has launched a massive anticorruption campaign that has already swept up some powerful figures in the investigative net. Ironically, the weakness of the rule of law, a reason for the campaign in the first place, also blemishes the conduct of the campaign, making it look very much like an old-fashioned Politburo power struggle in which top dog Xi crushes potential rivals with little regard for due process. Xi may well be sincere and the results of the campaign may well be positive, but it is hard from the outside to distinguish it from, say, Mao’s self-aggrandizing manoeuvres to label rivals as reactionary deviationists. Bell might have paid closer attention to the rule of law problem, but it does not pose a negation so much as a modification of the meritocracy model. In the years ahead, China will have to come to terms with the rule of law being institutionalized alongside the existing rule by law. If it does not, the meritocratic edifice may crack fatally. Uncertainty about the future is a universal phenomenon. Let me offer for consideration one scenario. China will manage to negotiate its way past many of its present institutional difficulties while remaining faithful to its meritocratic mission. A few years down the road, Western democracies will look with more interested eyes at a Chinese model that has indisputably done well. They will not be tempted to emulate a one-party state, but they may well reconsider their own degradation of the state to the lowly status of a despised handmaid to unchecked private greed. They will seek to rehabilitate a meritocratic public service as a positive instrument for advancing the common good. When they do, Bell’s analysis of present-day China may serve as one guide. 1 Francis Fukuyama, The Origins of Political Order (New York: Farrar, Straus and Giroux, 2011) and Political Order and Political Decay (New York: Farrar, Straus and Giroux, 2014). 2 Donald Savoie, Court Government and the Collapse of Accountability in Canada and the United Kingdom (Toronto: University of Toronto Press, 2008).